Start your day the healthy way with this delicious fruit smoothie. This recipe contains flaxseed which is naturally high in fibre and omega 3 fatty acids. 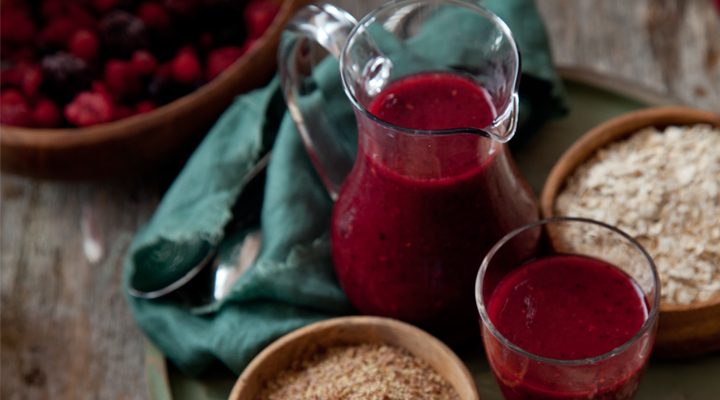 This smoothie will give you all the energy you need in the morning. There's no need to peel the beetroot if you scrub it well. Simply place all the ingredients in a blender and blitz for 1 minute, until completely smooth and creamy. This can be made in advance and stored in the fridge overnight for a grab-and-go breakfast - just give it a stir before serving. Fresh fruit is bursting with goodness, but do keep in mind that it’s also high in sugar too, even though it’s natural sugar.